The very versatile Boss Hugo Boss Bottled Night Eau De Toilette enlivens the night atmosphere and loads your day outings with an unmistakable style. Introduced in 2010, this masculine fragrance is soft and fresh. Bottled Night opens with notes of Lavender and Birch Leaves before paving the way for a decorated heart of African Violet, Jasmine and Cardamom. Woody scents of Sandalwood, Musk and Lauro Amarelo soothe the senses, giving him a confident, go-getter stance. WatchMaxx.com sells only 100% authentic, brand new merchandise, complete with the manufacturer's packaging and a minimum 2-year guarantee with service or repair by WatchMaxx. 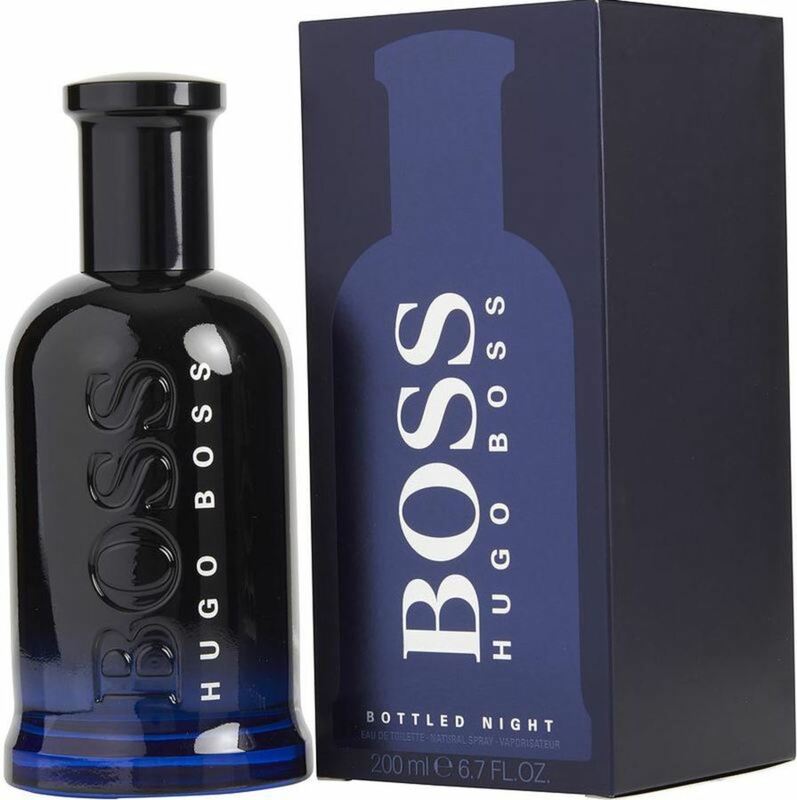 WatchMaxx offers products from the world's finest and most respected brands, such as this Hugo Boss Cologne Boss Bottled Night EDT Spray 6.8 oz Men's Fragrance 737052488257.